Button Hoodie – 2 Colors! On Sale Today! GroopDealz currently has this Button Hoodie – 2 Colors! for just $21.99! (Reg. 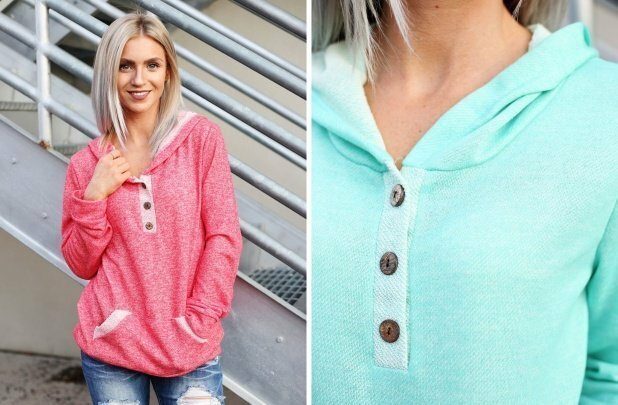 $39.99) Grab the Button Hoodie – 2 Colors! here on GroopDealz right now. This is not your average everyday hoodie! Detail on front pocket and front buttons combined with the vibrant fabric and color will have you falling in love!